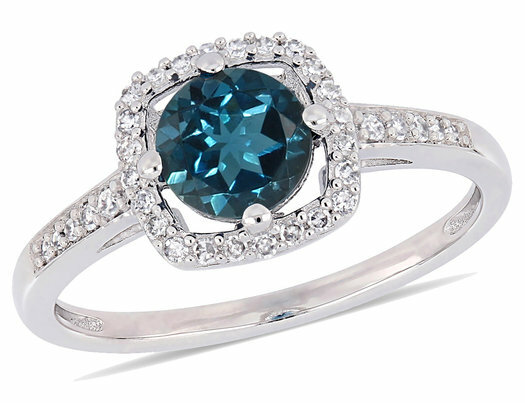 This graceful halo ring is crafted in classy 10-karat white gold and features a striking London blue topaz at the centre and sparkling diamonds 1/8 carat (ctw I2-I3) in a halo and halfway along the band. The ring has a lovely finish and will give you a glamourous and classy look. Pair this ring with any ensemble for a polished look.